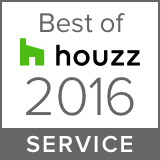 Gordon Dixon Construction Awarded Best Of Houzz 2019! 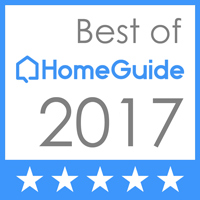 Stowe, VT, January 30, 2019 – Gordon Dixon Construction of Stowe, VT has won “Best Of Customer Service” on Houzz®, the leading platform for home renovation and design. This custom home builder was chosen by the more than 40 million monthly unique users that comprise the Houzz community from among more than 2.1 million active home building, remodeling and design industry professionals. SHOUT OUT TO GORDON IN POWDER MAGAZINE! OCTOBER 2016 - NEW WEBSITE, 25TH ANNIVERSARY AND WELCOME LUKE DODGE! In celebration of their 25th year in business, Gordon Dixon Construction, based in Stowe, is inviting visitors to get to know them better through their newly redesigned website: www.gordondixonconstruction.com. The new design is responsive — optimized for viewing on any size screen, and showcases larger format photos highlighting their work. The redesign also was intended to give prospective clients a better sense of who they are and what they do. It features bios on their employees to provide greater insight about each team member’s background and experience. The Dixons believe in taking advantage of local talent, whenever possible. They worked with a team of Vermont-based experts to revamp their site — Trisha Fong for design, Steve dePasquale of Marble Island Media for development, Larry Asam and Glenn Callahan for photography, and Amanda Kuhnert for copy. Luke Dodge came on board this summer as a carpenter/project manager. Luke recently moved to the Stowe area with his wife, Erika, who is an architect with Truex Cullins in Burlington. The couple previously lived in Lake Tahoe, California, where Luke worked as a woodworker and field carpenter. Originally from New Hampshire, Luke grew up working in the family construction and custom cabinetry business, Dodge Woodworking. GORDON DIXON CONSTRUCTION LAUNCHES NEW WEBSITE!!! Gordon Dixon Construction is thrilled to announce the launch of their new website! Thanks to Trisha Fong for your beautiful design work, Amanda Kuhnert for her help with copywriting and to Steve DePasquale and Marble Island Media for his technical expertise and construction of our site. We are pretty proud of it and hope you will enjoy it! Dr. Robert C. Bauman & Associates has won the fourth annual Stowe CAN Go Green Leadership Award. The Go Green award, presented by the Stowe Energy and Climate Action Network, is given annually to an individual and/or organization that shows leadership in mitigating climate change, reducing energy demand, improving energy efficiency and/or promoting renewable energy use. The awards were presented at last week’s Stowe Conservation Commission meeting. • Bauman worked with Gordon Dixon Construction of Stowe, which has focused on energy-efficient design for several years, to make six efficiency measures part of his new building on Route 100 South: high-efficiency air conditioning, heat-recovery ventilation, high-efficiency propane heat, high-efficiency lighting and controls, high-efficiency hand dryers, and the latest in high-value insulation. These measures qualified Bauman’s project for incentives from Efficiency Vermont, and the projected annual energy savings from the efficiency measures is $3,000.Bauman has also installed five pole-mounted solar arrays that can produce 12.9 kilowatts of electricity. The panels supply 60 percent of Bauman’s electricity in the summer and 80 percent in the winter. “The phone’s been ringing,” Stowe builder Tim Meehan says with an optimistic tone. That’s a welcome change. Meehan, who owns Northern New England Homes, was been struggling with what he calls “post-traumatic stress disorder” in the wake of the 2008 economic collapse. Home builders and architects are often on the front lines of an economic recession, as buyers drop out of the market for new homes, and homeowners scale back on renovation plans. However, Meehan has been keeping himself and his employees busy since the housing bubble sent the world economy into a death spiral — he’s been finding renovation work, one job at a time. But times may be changing. Meehan says interest is picking up. According to the National Association of Home Builders, total home building permits issued in the United States jumped 35 percent from February 2011 to February 2012, including a 22 percent increase in single-family homes and a 69 percent increase in multifamily homes. Vermont fared less well in that time, with total home building permits dropping by 41 percent. However, single-family home permits were up by 26 percent. Rich Baker, Stowe’s zoning director, received 48 permit applications in the past six months, fewer than the 55 he received during the same time period last year, but other signs are good, he says. “Just looking at permits is not always a fair indicator of activity because it reflects the past and not the future,” Baker says. Property owners and contractors usually review projects with him before getting a permit, he says, and those interactions are on the rise. Baker thinks the warmer-than-usual spring weather, which extends the construction season, may also play a factor. Another phone ringing more often these days is Andrew Volansky’s. Builders and architects have had to switch their approaches in recent years. Sisler has started to branch into retrofitting homes for energy efficiency. “That’s a big growth area for us,” he says. Meehan had been doing projects with a skeleton crew of two workers, but hired three people in the past year. “It seems like things are moving around,” he says. STOWE GOES GREEN AWARD TO GORDON DIXON CONSTRUCTION 2010! Gordon Dixon Construction has won the third annual Stowe CAN Go Green Leadership Award. The award is presented by the Stowe Energy and Climate Action Network. Gordon Dixon Construction has focused on energy-efficient design for several years, for both residential and commercial projects. In March 2008, it completed the Palmer Creative Group building — formerly Creative Pages Inc. — in Stowe’s lower village. Under with Efficiency Vermont standards, Palmer Creative Group received many incentives for energy efficiency and it received the 2008 Stowe CAN Go Green Leadership Award. Dixon’s company completed the 5,000-square-foot Santos Cocina Latina restaurant on Mountain Road in Stowe late last November for owners Miguel and Maria Garcia. Efficiency Vermont estimates the Santos project will help to reduce statewide energy needs by 45,000 kilowatt-hours of electricity, 3,000 gallons of propane, and 76,600 gallons of water per year, with an overall lifetime emissions reduction of 680 tons of carbon dioxide.